The Multi Purpose Target System “MPTS” has been in use by the Australian Defence Force since late 1990s. The MPTS has been designed as a light-weight, easily deployable radio operated target mechanism, weighing approximately 22 kgs. The MPTS is fitted with a target board that can be raised for engagement by a firer. Exposure of the target board is facilitated by an integrated radio modem, night lights for illumination and retaliation, an integrated hit sensing element and an internally chargeable battery. The MPTS is easily deployed due to its light weight and is configured by the two front panel setup pushbuttons and display. 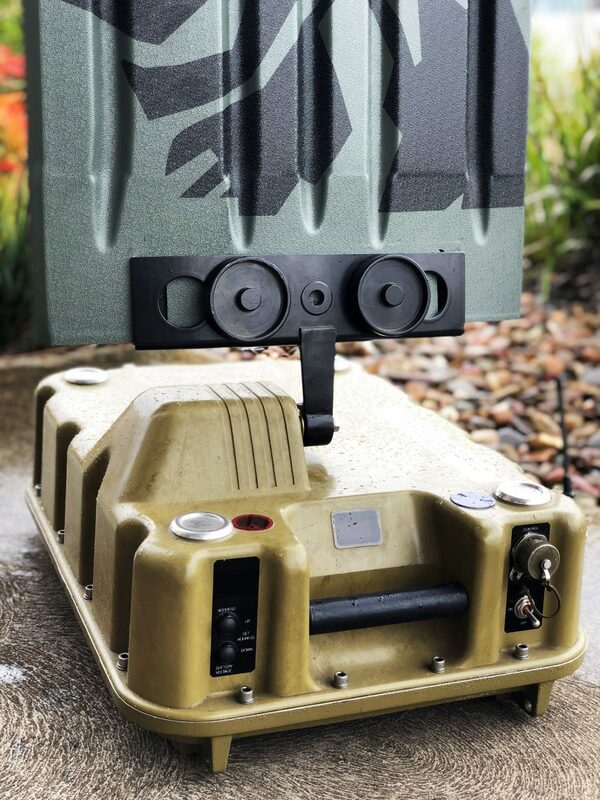 The MPTS, also known as a PITS, “Portable Infantry Target System”, has recently undergone a technical refresh. The electronics have been redesigned to take advantage of improvements in technology, providing an upgrade path for units in the field. The night lights now include an additional white light source, that can be custom configured to any colour and IR capability has been included for the use with light intensifying night vision equipment. A plastic composite shock absorbing material replaces the moulded fiberglass lid and the internal radio has been upgraded to provide Ethernet radio data communications in additional to backward compatible FSK data signaling. Deployment on the unit is now enhanced by a multi button keypad and LED display, and the front panel connectors have been consolidated to be compatible with the rest of the ATS targetry fleet. After being the portable target of choice for the ADF and international customers over the past 20 years, the MPTS is now ready to provide portable live fire training support into the next decade and beyond.